U.S. Vice President Mike Pence has called on Google to end development of its mobile app search project that would adhere to China’s censorship requests to operate in the country and provide the ability to track someone’s internet searches. 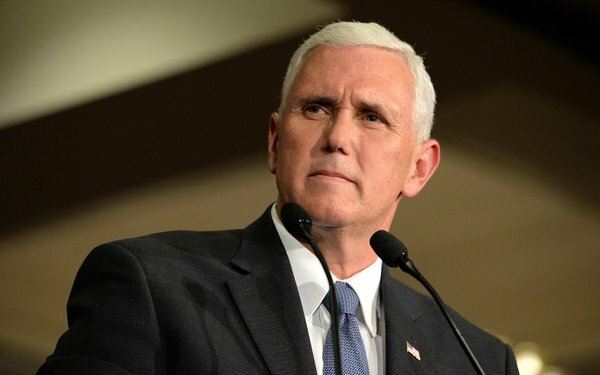 In a speech Thursday at the Republican National Lawyers Association, Pence ran through a long list of “frustrations and grievances with Beijing” and called on companies to reconsider their business practices. He pointed to the alleged theft of U.S. technology by China, which has been going on for years, at least since manufacturing moved into the country in the late 1990s and early 2000s. He said business leaders must think twice before entering the Chinese market "if it means turning over their intellectual property or abetting Beijing’s oppression." Google has been working on a project it calls “Dragonfly," a mobile search engine that would adhere to China’s strict censorship. The Wall Street Journal notes that this speech was the first public condemnation from the White House. Early on it was reported that the censorship will apply to Google image search, automatic spell check and suggested search features, among others.